I saw this converted car ferry docked on the harbour outside of NOMA the other day. 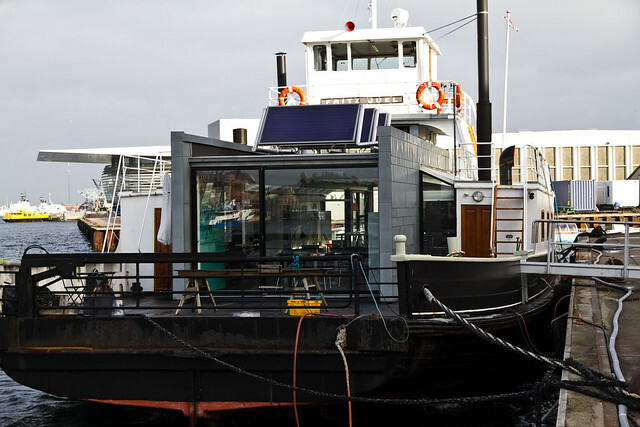 From car ferry to gorgeous offices. What a lovely place to work. I can be jaded about the internet once in a while, taking it for granted quite often, but then you realise how fantastic it is. Here's the ferry - Fritz Juel - on its last journey arriving in Svendborg harbour in 2001.